Whether it’s a sunset cruise or an afternoon cruise to marvel at the beauty of historical Byblos from the perspective of the sea, a boat trip along the coast is relaxing and picturesque, with plenty of opportunities to snap a few beautiful photos to take home. Byblos Sur Mer can charter custom cruises for groups, as well as private sunset cruises for couples. Venture out to sea with us and experience the art of fishing, an activity that the people of Byblos have been enjoying for centuries. Spend a few hours with a local guide and bring your catch of the day back to the hotel, and we will be happy to prepare the fish for you as part of a memorable meal at Dar L’Azrak. Take the opportunity to dive into the depths of the sea off of Byblos’ coast, and you may just discover an ancient relic or two. Byblos Sur Mer offers scuba diving training sessions with highly skilled, professional divers with a passion for Byblos and its rich history that continues on down the coast and beneath the waves. 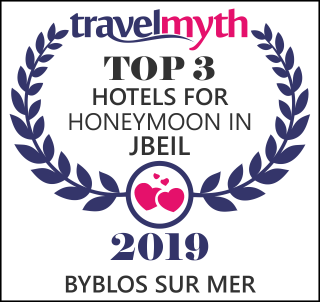 For an intimate interlude, Byblos Sur Mer can organize a private, romantic dinner complete with flowers, candles, and custom finishing touches. A private butler at the couple’s disposal takes care of all essentials, and delivers a three-course meal at the edge of the picturesque bay.